This LATplate (E9975) was exposed during the course of the 1935 Monte Carlo Rally the event being held between 19th & 27th January that year. The MG NA Magnette AAD 359 was entered and driven by E. Denyil-Lee and finished 77th in the overall general classification. 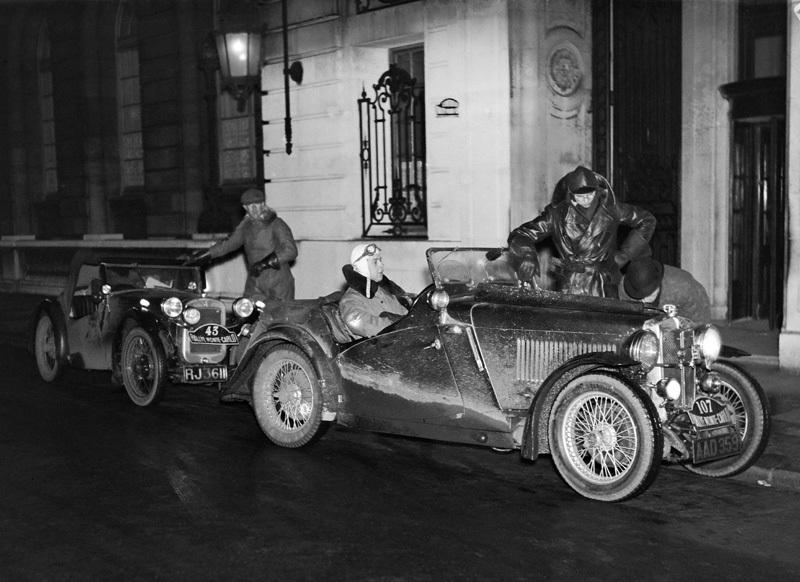 The Austin Seven seen parked behind the Magnette was driven by W. Harney and finished four places higher than the MG. Unfortunately, the location at which this photograph was taken is unknown. AAD 359 survives and is regularly seen at VSCC events in East Anglia.